Auctions take a lot of helping hands. But if these people aren’t organized … or rather, if YOU, as auction chair, aren’t organized … having all those helpers is like enjoying the “help” of a of a three-year-old. Benefit auctions are often supported by a cadre of volunteers. It’s great that volunteers sign up to help. It’s tricky in that everyone brings their own ideas. You don’t want to douse their enthusiasm, but you also recognize the need to maintain control of your event. From Day 1, you need to get everyone rowing in the same direction. How do you organize your committees? What are some volunteer job descriptions? Why do volunteers agree to help … and then disappear? Where am I going to find people to help? Should we hold meetings? How? When? Covering what? In this webinar, you’ll learn how to organize and inspire your team. Job descriptions! Model your descriptions after these common auction positions. Tips on organizing the team. The difference between onsite volunteers and the volunteers who will help you produce the event. Take notes! 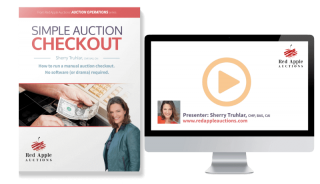 I’ll share the strategies I’ve seen employed by some of the most well-organized auction galas. BONUS: Auction volunteer descriptions for the 21 most common staffing needs to fill an auction team. These volunteer job descriptions include estimates of when a volunteer’s time is most required, which is important to most people signing up to help. BONUS: An onsite volunteer staffing matrix, so you know how many onsite volunteers to schedule for registration, the silent auction tables, raffle sales, and so forth. BONUS: Two sample pre-event emails to send to onsite volunteers. Model these for your own needs so volunteers arrive ready-to-work. You are running an auction for the first time. You are the Auction Chair or co-Chair. Benefit auctioneer Sherry Truhlar helps charities across the USA, averaging more than one benefit auction per week. 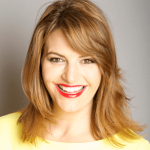 Dozens of other clients are supported annually through consulting, and she’s taught thousands of people through her webinars and multi-week intensives. 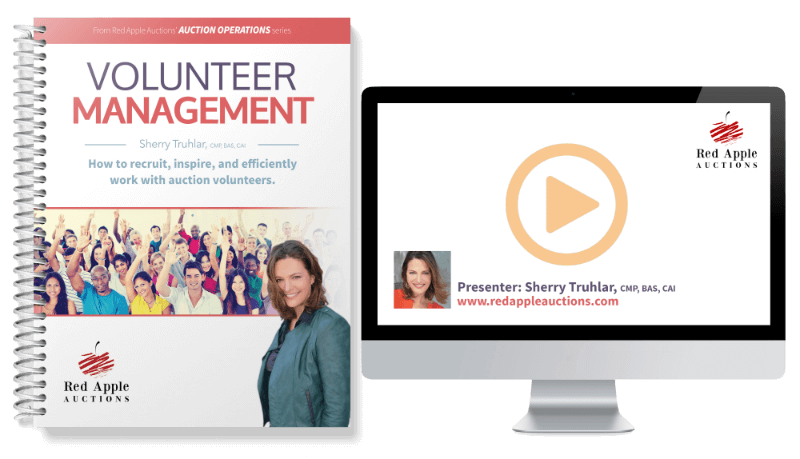 As an expert teacher and national educator on all-things benefit auction oriented, this webinar provides all the tools necessary to lay a solid foundation for setting up your volunteer team.